Quickly and efficiently find your contacts with Text Search and Advanced Search functions. Clicking on the address or website in card information fields will link to the map and contact's website directly. Brand: PenPower | Manufacturer: Penpower Inc. Whether it's a USB flash drive or a memory card (SD/SDHC), the IS15 Plus gives you the convenience and freedom to choose which media to store your scanned images in. A solution of business card management with a color scanner which recognizes and preserves color image of the business card. 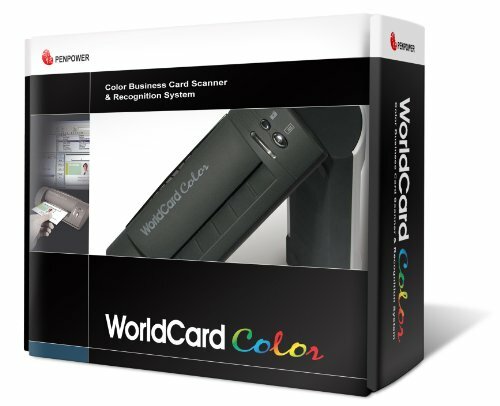 WorldCard A6 color business card scanner, USB cable, WorldCard software CD, user's manual, calibration card, and registration card. Cleans the optical scanner lenses.Cleans the check pathways.Cleans the check transport belts and rollers. 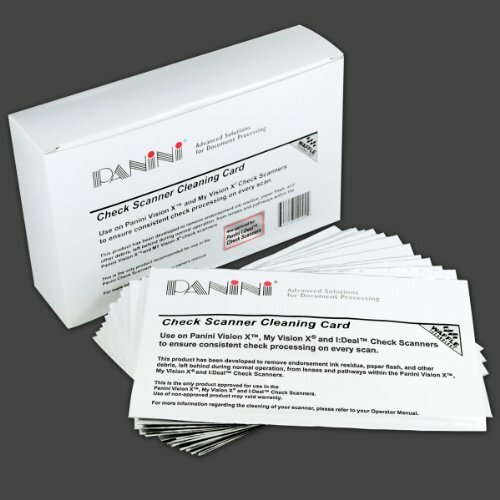 Use as a scheduled maintenance product to prevent poor check scans. 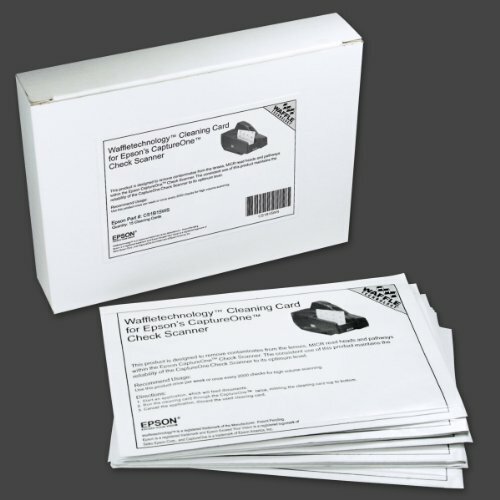 Use as an emergency maintenance product to correct failed scans. Waffle technology (patented in US, Canada and Australia) cleaning cards dramatically outperform flat cleaning cards. 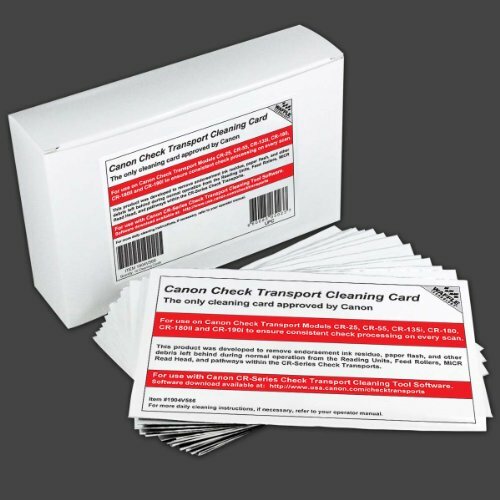 Clean your Canon Check Transport every 2000 scans or at least 3 to 4 times month. 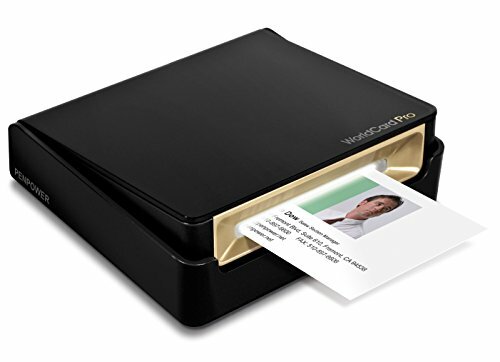 Brand: Waffletechnology | Manufacturer: United Banking Supplies, Inc.
Less than a foot long, the Magic Wand Portable Scanner scans documents, photos, newspapers, magazines, receipts, and more, and saves them to a microSD card (included!). It's perfect for travelling, or even simply keeping at home as an alternative to bulky scanners. 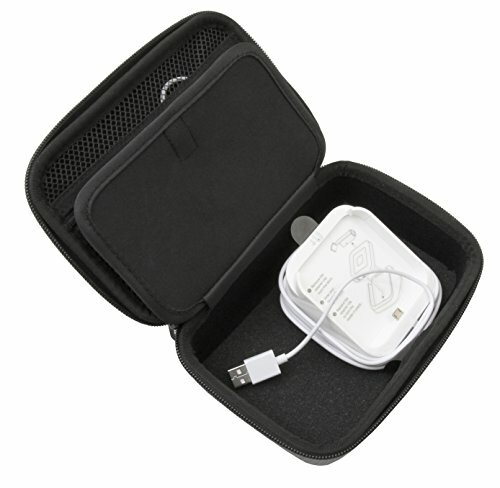 Slide it into the carrying case for instant protection, and easily transport it in a purse or briefcase. Because the scanner is battery powered (batteries included! ), there's no hassle of trying to take a charging cable everywhere. The device is capable of saving up to 200 scans per battery refresh, making it reliable anywhere you go. Bring it to the library and scan what you need; capture your favorite fabrics to compare later when you just can't decide; save your child's drawings digitally; scan a poster, flyer, or magazing page to share with your friends on Facebook later; archive a friend's recipe, or even a school or work document. There's no need to waste paper or money on photocopies, because this eco-friendly device reduces paper usage considerably, while still giving you quality scans which won't become lost or stained. 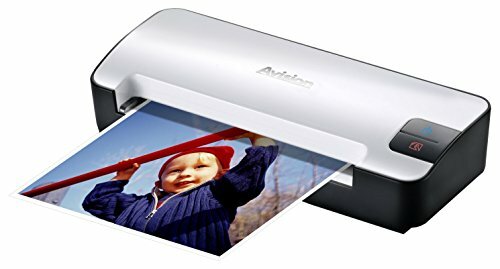 The scanner can capture images 8.27" wide and up to 98" long in as little as 3 seconds, and you can navigate the 1" LCD screen for resolution options of 900DPI, 600DPI, or 300DPI and your choice of PDF or JPEG output formats. When you get home, simply connect the scanner to your computer with the supplied USB cable to transfer your scans to your computer (compatible with PC and Mac). If you scanned a text document, you can even use the bonus OCR (Optical Character Recognition) software to convert saved documents into text editable and searchable files compatible with popular word processing and spreadsheet software (Windows only; not compatible with Mac OS). 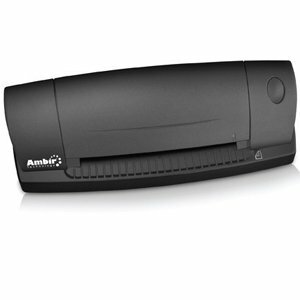 Quickly and easily digitize images of a wide range of identity documents such as driver's licenses, ID cards, insurance cards, business cards and checks with the Ambir PS667 simplex card scanner. Designed to efficiently scan thick materials such as laminated ID cards and plastic cards with embossed characters, the PS667 delivers commercial grade scanning quality in a lightweight, ultra compact footprint. And with convenient USB 2.0 connectivity to desktops, laptops, tablet computers and Point of Sale (POS) systems, the PS667 requires no external power adapter. 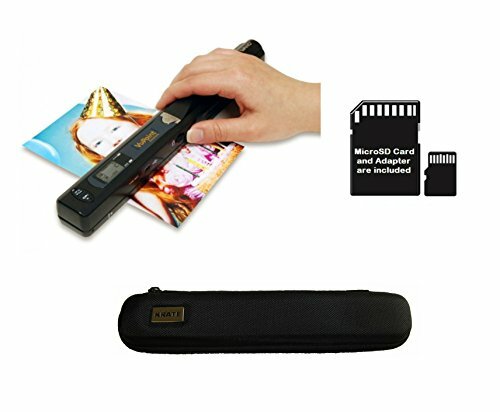 VuPoint Solutions Magic Wand Portable Scanner - Ever want to put all of your pictures on your computer but didn't have the time to sit there and scan one after the other? Ever thought of buying one those scanners but you don't have any room in your office to store it? 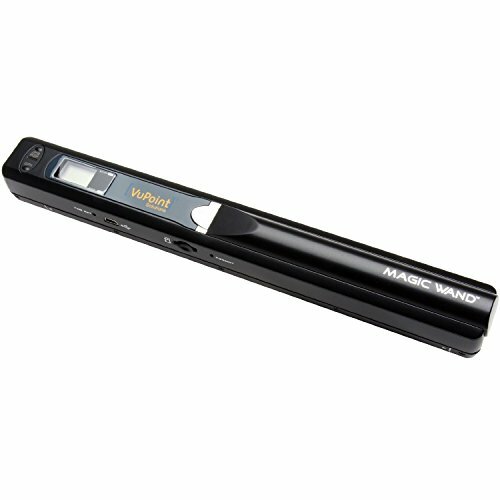 Then the VuPoint Solutions Magic Wand Portable Scanner is perfect for you. The VuPoint Solutions \"Magic Wand\" Portable Scanner allows you to scan the documents that matter the most to you, and back them up on your computer. Do you have those documents that you've had for a while and you're afraid that they're going to rip or even get lost one day? We'll now you can scan them and keep them safe. MODEL: VPSPDSST410WM. Features: Scanner for color & monochromatic images, documents, magazines. Sensor: A4 Color Contact image Sensor, Resolution: Standard Reso: 300x300dpi (default) High Reso: 600x600dpi, External Memory: Support Micro SD card up to 32GB (Micro SD card not included), File Format: JPEG, LCD: Scanning status display, LCD Display Size: 0.787 x 0.59 , Auto Power Off: Off/ 3 minute/ 5 minute, Scanning Speed: A4 Size: high resolution with color 28Sec, High resolution with mono 14Sec, Standard resolution with color 8Sec, Standard resolution with mono 4Sec. White Balance: Auto, USB Port: USB 2.0 high speed, Power Source: 2xAA Batteries, Battery Life: 200 min. Includes: USB Cable, 2xAA alkaline batteries, Pouch, User's manual. Dimension: 10 L x 1.2 H x 1.1 W. Weight: 0.47 lbs. Scan business cards in color. Connect through USB. Card catcher collects scanned cards. Scans reverse type. Flags duplicate entries. Sync with any Palm handheld, Pocket PC, Microsoft Outlook an more PDAs and contact manager than ever before. 2 year warranty and free technical support. 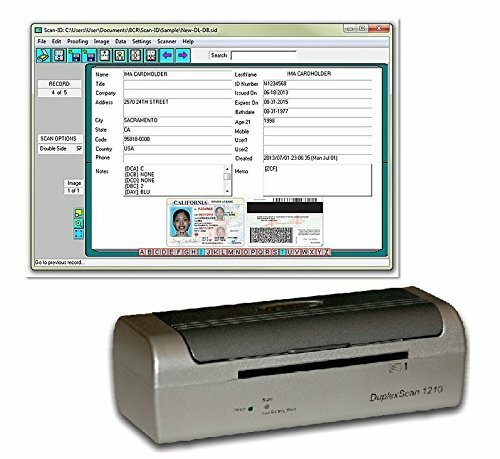 The DX1210 is a USB self-powered duplex card scanner which is fully TWAIN compliant and works with hundreds of other scanning applications, including all electronic healthcare and medical practice management systems which support TWAIN. It is used industry wide to scan medical insurance cards, driver licenses, and laminated IDs. It can be used in simplex mode to scan a single side, or in duplex mode to scan both sides of a card in one pass. This heavy-duty scanner is specially designed for those challenging jobs other card scanners cannot handle. It uses not just 2, but 4 high-traction rollers in the card transport mechanism. Each of the 4 rollers are independently powered, allowing smooth feeding of even the thickest embossed plastic cards or laminated IDs commonly used in medical cards, and licenses. The included Scan-ID LITE software is a powerful card management system which enables you to scan and manage medical cards, licenses, and other IDs. The system scans and creates a searchable (and exportable) database of the scanned cards. Card information is manually keyed in. The included ScanToFile application allows you to scan cards and automatically save the images directly to PDF, JPEG, or TIFF files on your PC. This unique scanning feature enables any application to scan and display both the front and back of a document easily using TWAIN. It scans both sides of a document in one pass, and combines them into a single composite image. Then it transfers the composite image to the application. DX1210 Duplex (dual-side) USB Optical Card Scanner. Direct scanning to PDF, JPEG, TIF formats. Scans images of medical insurance cards, driver licenses, laminated cards and IDs, photos, etc. Scans both sides in one pass. Scan-ID LITE app scans and manages database of card images. NOTE: All card information is manually entered. Quad-powered rollers with Dual-Side Scanning technology - Ideal for thick and laminated cards. Fully TWAIN compatible - works with numerous bank, medical, healthcare, and other imaging apps. Windows only - NOT MAC compatible. 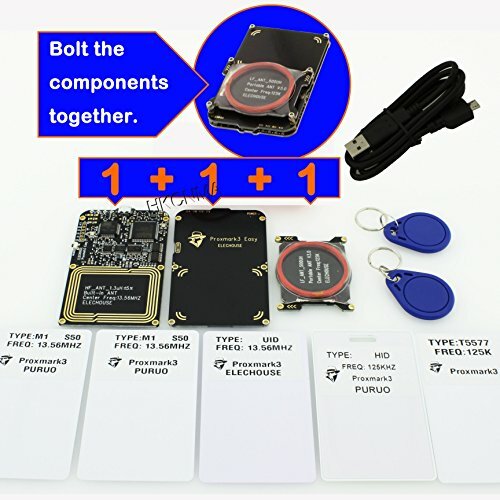 Note: This product requires relevant computer knowledge, such as computer software and hardware knowledge, must be installed and set to be used, and must have hands-on ability to use! Product Description: The Proxmark3 is a research and development tool. It has not been evaluated for compliance with regulations governing transmission and reception of radio signals. You are responsible for using this product in compliance with your local laws. The priginal chips,Brand components and capacitance resistance, the antenna accrucy matching,SMT sticking machine. The low frequency antenna to improve the signal to noise ratio, the higher the recognition rate, detachable design to meet various needs. No antenna interface, did not need have to plug because it is easy to damaged. Cancel the lithium battery, simple and convenient. (Offline can use mobile power supply) - In addition to the original relay and other unrelated, low cost, lightweight and portable. Compared with PM3 RD V2.0 improvement: Built-in high-frequency antenna, antenna depth matching, eliminate blind spots, read the whole card data flowing without interruption. Increase Parse the secret key rate , the size of the card takes all. Sniffing data, complete stable, low error rate. Built-in high-frequency antenna, red coil for external low-frequency antenna, read strong, continuous data stream. 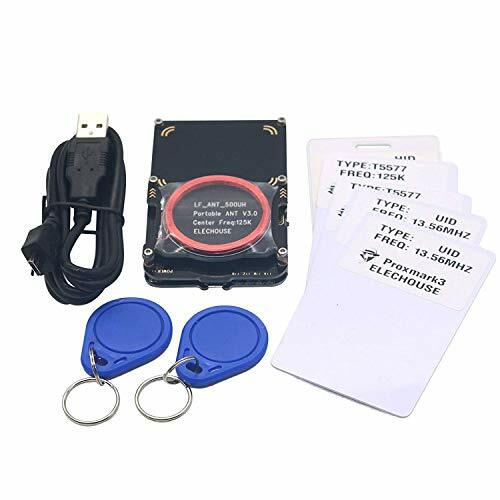 Brand: HKCNMA | Manufacturer: Shenzhen HKCNMA Co., Ltd.
Don't get scammed a new form of pickpocket has appeared on the scene and you don't even need to be physically touched to lose your valuables. Crooks now can electronically scan your credit and atm cards, while they are still in your wallet or purse, without you ever knowing about it. At least, not until you get your next statement fight back by making it as hard as possible to steal what is rightfully yours. 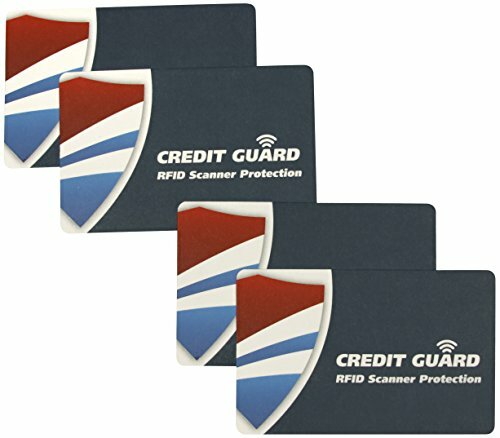 The Credit Guard RFID blocking cards are the size of a credit card that are designed to protect personal information stored on credit cards, debit cards, smartcards, rfid (radio frequency identification) driver's licenses and any other RFID cards. Scan data from business cards directly into your PC, Mac, or Palm or Windows mobile device. Add information directly to Outlook (Windows only). 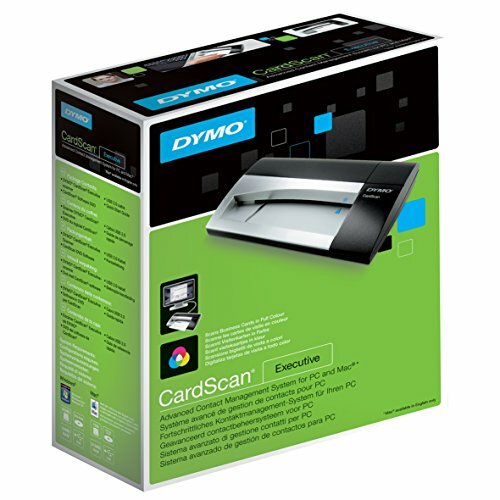 Executive scanner is super accurate and can scan color cards. Reads cards in 7 languages from 14 different countries. Verifies and correct US addresses and ZIP + 4 codes. Use our software to drag and drop address information from emails and web pages. The DocketPORT 687 scans media at up to 600 dpi and its compact footprint fits in any office workstation. 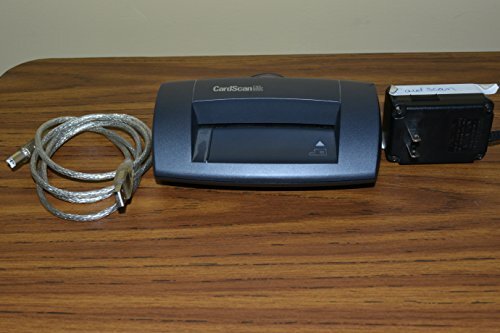 It can scan both sides of ID cards, driver's licenses, and embossed cards in one pass. It also handles photos and turns receipts into PDF files. This DocketPORT 6870scanner is USB powered so it will run off a desktop or laptop computer. Included software makes it easy to scan images into PDF, JPEG and TIFF files formats. Ultra-Compact Footprint - At about the size of a stapler, the DP687 takes up far less space than flatbed scanners. That makes it perfect for crowded desks and mobile users. USB-Powered Convenience - Because it's powered by your computer's USB port, you'll never search for an outlet or carry a bulky AC adapter again. Straight-to-PDF Scanning - With included DocketScan image acquisition software, users can scan directly to industry-standard PDF format. Professional-Grade Quality - Durable and reliable enough for high volume environments like hospitals, banks and busy points of sale. 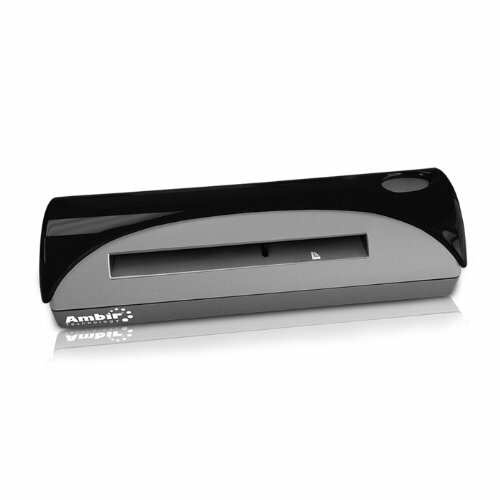 Simultaneously scan both sides of a driver's license, identity or insurance card in one pass with the Ambir DS687 Duplex A6 ID card scanner. Featuring a 1.5 mm wide paper path, the DS687 adeptly handles even the most challenging scan jobs, including embossed characters. Ideal for capturing ID data at healthcare facility admissions, hospitality registration, point of sale environments and financial institutions or anywhere customers and clients need to provide identity data. Brand: Ambir | Manufacturer: E-Book Systems, Inc.